Upgrade your 2005-2014 Mustang charging system with this PA Performance 4 gauge premium power wire! 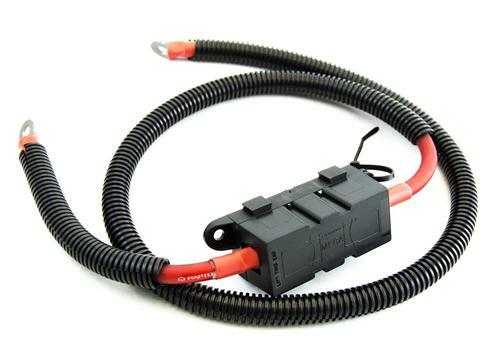 This 2005-2014 Mustang 4 gauge premium power wire is a great way to upgrade your charging system! Made to be used on 170 and 200 amp alternators, this power wire carries higher loads than factory wires for better performance. Perfect when adding sound systems and other electronics that place a strain on your charging system. This wire features a built in plastic fuse box and 48" of wire to give you everything you need for your S197. 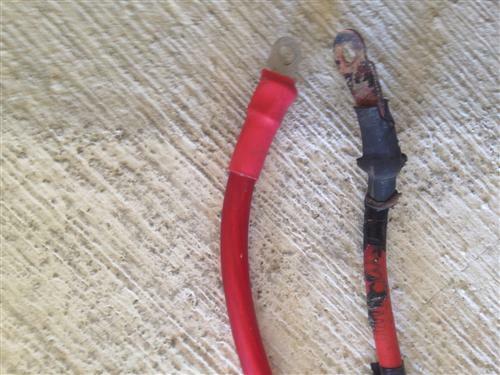 When using our high output alternators you must upgrade this cable to retain warranty coverage. Premium kits are made of the highest quality wire, with increased number of strands, electrolytic copper and bundle wrapping to reduce noise in high end sound systems while being incredibly flexible and show quality.